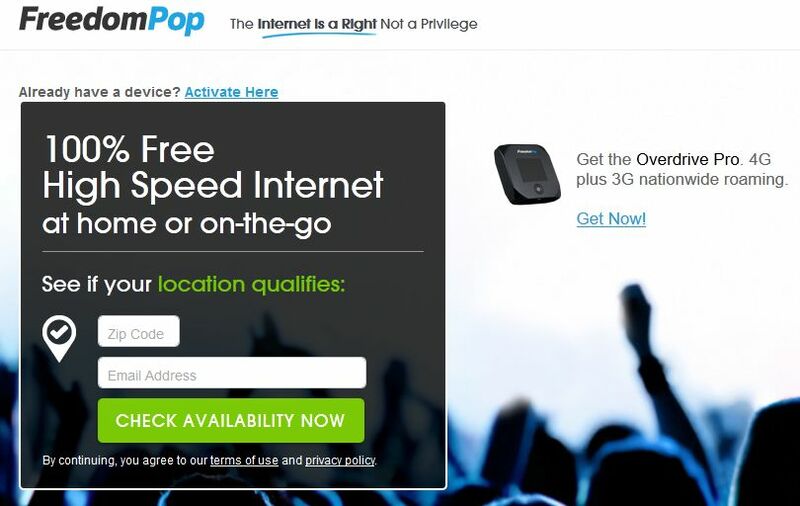 As of April 24, 2013, FreedomPop, which offered limited free home Internet in select areas, will now offer free (or low priced) wireless Internet via the Sprint network. So if you were previously not qualified, it’s very likely that your area is now covered by their service. 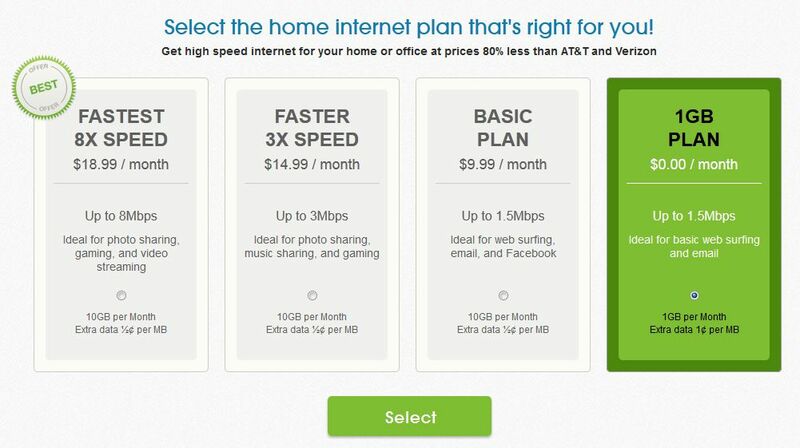 The screen below are the plans you can sign up for if you want home internet (DSL), including the 1GB plan which is free but runs at a slow 1.5Mbps and limited to 1GB of traffic. 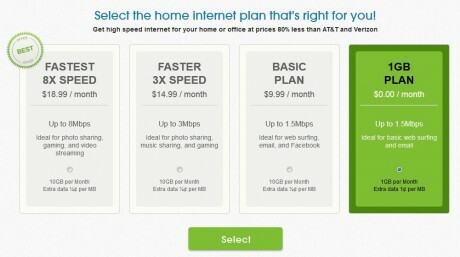 To get the full 8Mbps, you will have to fork out $18.99 per month. That’s still a good deal though. Of more interest, you can get wireless Internet for free up to 500 MB using the Sprint 3G/4G Wimax network. Sorry, the new Sprint 4G LTE is not available yet. 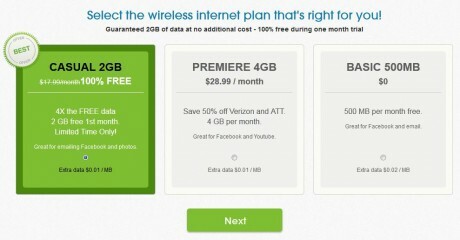 If you want up to 2GB, you will have to fork out $17.99 per month (1st month free). 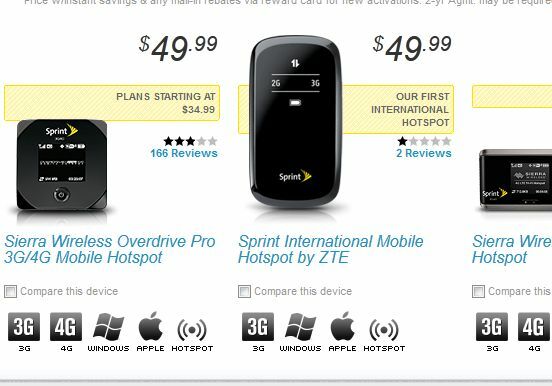 Actually, as you can see below, Sprint’s “Hot Spot” plans start at $34.99, or you can use your smartphone as a hotspot for $20 on top of your regular plan. 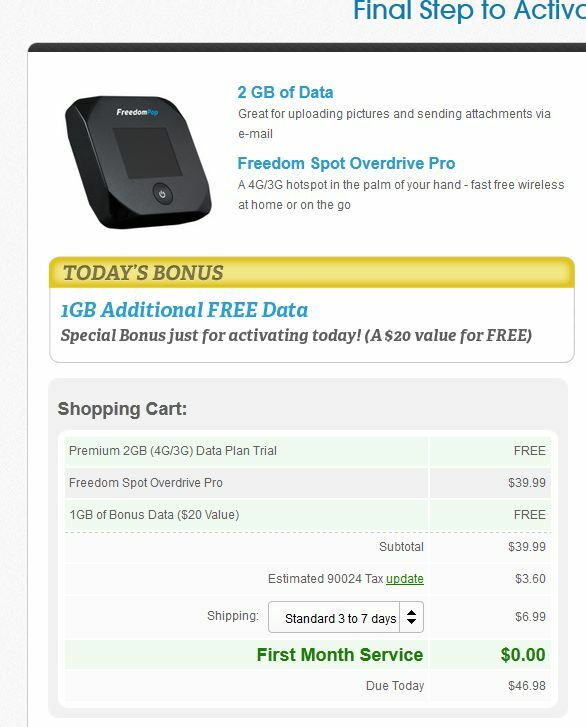 So either way, FreedomPop’s 2GB plan is still cheaper than Sprint’s own plans. Next, you will have to pick the device to order from the 3 below. 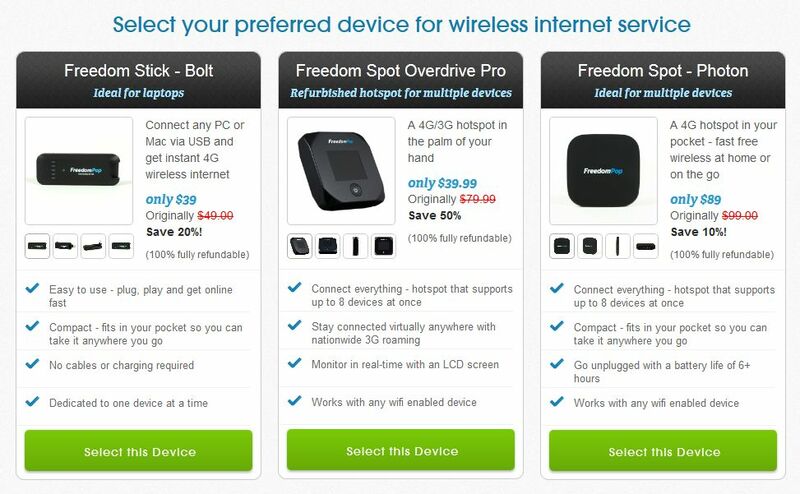 Pick the one in the middle called “Freedom Spot Overdrive Pro” ($39.99), which is actually a refurbished Sprint Overdrive Pro, which costs $50 new, or refurbished for free on Sprint. This choice will allow you to connect up to 8 devices via Wifi on the Sprint 3G/4G network. Now as you can see below, if you picked the 2GB plan, you get another 1GB for free. Also note that the total is $46.98. Somehow, when I clicked “OK,” the total turned into $50.58. There was no explanation why the price changed. As you can see, I have 3GB that I can use in the next 29 days. You can also see the coverage in your area. For some reason, there is no coverage in the Santa Monica area. I’m not sure if that’s a problem with Sprint’s coverage or something else. One last little gotcha. As you can see below, even if you’ve signed up for a completely free plan, if you don’t use at least 5MB of bandwidth in your billing month, you will be charged 99 cents for having a dormant account. This is the same as some banks that have this type of strange charge where if you don’t have any activity in your account, they charge you a fee. It’s counter intuitive, but I guess they make their money by forcing you to use your account and accidentally going over your limit. Now, just wait for your wireless device to come in the mail. Next time, a full review after I get everything working.